This is the Carzone.ie guide to buying a used Mazda CX-5. Mazda’s first proper entry into the SUV-crossover world in Ireland was the CX-7, of 2006, which won plaudits for balancing the practicalities of family motoring with a decent chassis. To follow up on that original, Mazda shrank the formula for the first-generation CX-5 in 2012. This C-segment SUV was the first Mazda to showcase the company’s ‘Kodo’ design language and it promised five-seat usefulness with Mazda’s typical attributes of top-level engineering and reliability. Mazda offered the CX-5 with a choice of front- or four-wheel drive, with either a manual or an automatic transmission (both six-speed units) and with a choice of either a normally aspirated, 2.0-litre four-cylinder ‘SkyActiv-G’ petrol engine rated at 163hp, or a 2.2-litre ‘SkyActiv-D’ four-cylinder turbodiesel, which came with either 150- or 175hp. Trim grades normally run Executive, Executive SE, Platinum and then Platinum SR, but no Mazda CX-5 Mk1 should be sparsely equipped, as even base models came with a wealth of kit. In 2014, the CX-5 was notably facelifted to give it front-end styling that more closely resembled the Mazda3 hatchback, and so successful a re-design was it that the second-generation CX-5, launched in 2017, looks very similar to the Mk1 facelift. The 2.2-litre SkyActiv-D is the better bet, as its torque-rich delivery makes the CX-5 easier to live with than the rev-hungry petrol variant. And, as the CX-5 has such a lovely chassis, you might as well make the most of it with the mighty torque (420Nm at just 2,000rpm) of the 175hp model, which came with four-wheel drive as standard. You don’t lose a lot in terms of economy to the 150hp model and it’s a super-strong engine across the rev range. The Mazda CX-5 has been a brilliant car since launch, offering all the practicality of an SUV, yet with some style thanks to its ‘Kodo’ bodywork and a decent, sporty chassis to match. 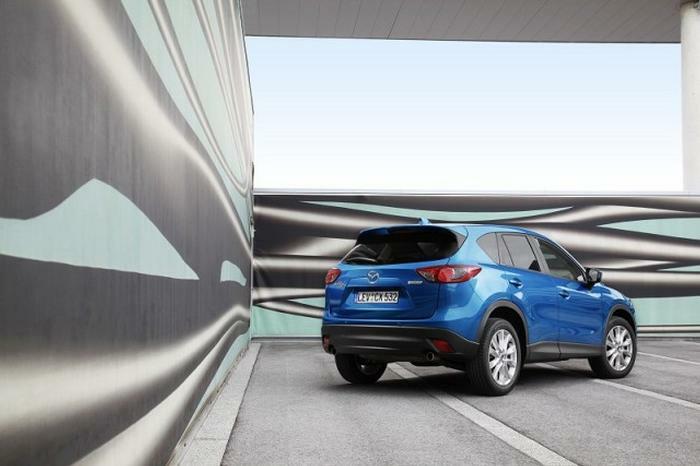 The turbodiesel models are particularly strong all-rounders and, with robust performance and decent economy to boot, the CX-5 ought to be one of the first mid-sized crossover-SUVs on your shopping list.